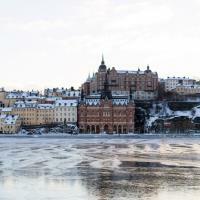 Get to know the alternative side of Stockholm’s personality as you explore bohemian Södermalm. Also known as Hipster Island and Stockholm’s Brooklyn, this once working class neighbourhood is now where you you’ll find contemporary art galleries and world class vintage stores, trendy cafes and some of the most breathtaking views in Stockholm. Explore hip SoFo, experience the urban buzz in Nytorget Square and see why Södermalm is an inspiration for artists, writers and musicians. This is the most creatively inspiring and alternative neighbourhood in the city, and with a local by your side you’ll be able to discover its hidden beaches, the coolest cafes and bohemian stores. 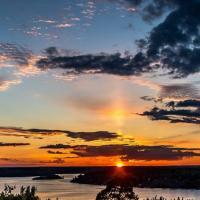 Discover lively and cultural Stockholm beyond the famous and touristy districts, and on the route less travelled find bars, coffee shops and neighbourhoods that are well kept local secrets. Check out boutique shops, markets, contemporary art galleries and underground clubs in one of the city’s close-knit communities who have made their home in an alternative neighbourhood. With a Local Host by your side to navigate, walk along back-alleyways, drink craft beers like the local brew ‘folköl' in microbreweries and soak up the street style one of the city's unique neighbourhoods. 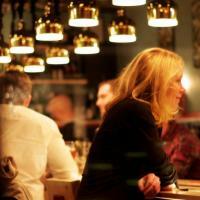 Let your host introduce you to interesting places that are hives of alternative activity, housing gallery spaces and that attract a grungy, artsy clientele. Explore Stockholm’s best vintage shops and markets, cutting edge fashion stores, independent niche boutiques, pop ups, vinyl record shops and the tastiest street food markets, and hang out in Nytorget Square like the locals do. I recommend booking this in the an evening. 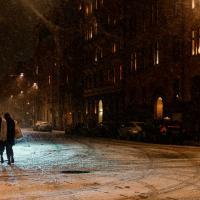 I had such a good time discovering the nightlife and cool spots in Sodermalm with Jacob. I'll be spending the next semester studying here and now feel like I know my way around (and all of the best bars in town)!